Unmarried brother and sister Matthew and Marilla Cuthbert have sent away to orphanage in hopes of adding a young boy to their household to help aging Matthew with his chores. Through miscommunication, the Cuthberts are sent Anne, a young girl with a vivid imagination, a persistent hopefulness, and a strong desire to belong. 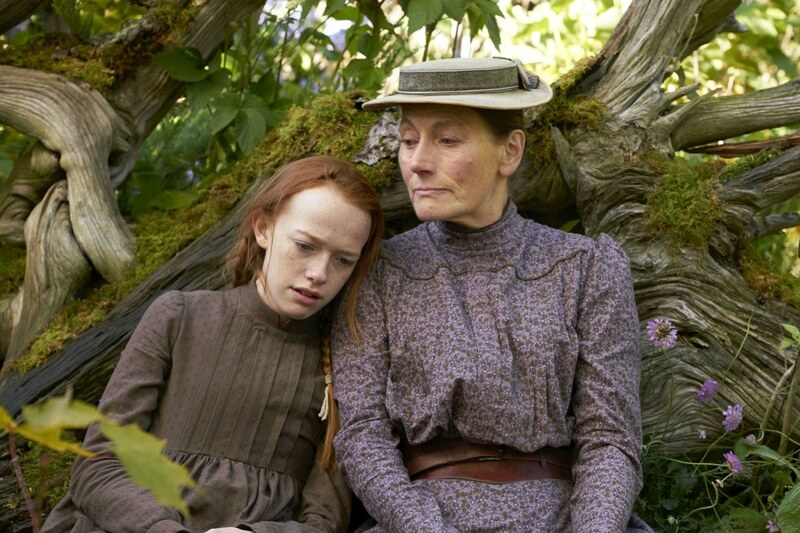 The first episode of the current Netflix production of Anne largely stays faithful to the well-loved story, but it focuses on some elements of Anne’s story – and adds one very unfortunate incident that wasn’t in the book – which might push this version of the story out of bounds for many younger viewers, even though it may still be very much worth seeing for adults. Marilla’s nosy neighbor Rachel learns that Marilla will be taking in an orphan, and counsels her against it, citing stories she’s heard of orphans who have poisoned their adoptive families. Anne desperately wants to belong to a family. Anne represent the best in humanity – she’s hopefully, positive, loving, and profoundly likeable in spite of the abuse and heartbreak she’s experienced. Anne is also truthful, telling Marilla that Anne will never have the opportunity to be a chid. Some of Matthew’s warmth and Marilla’s positive concern for Anne do show through. Anne has been abused by a former family; she was whipped, told she was worthless, told to be silent, and rejected. We see glimpses of her past abuse, and also see her fall to the ground when she is triggered by current circumstances, as she is overwhelmed by memories of her past. Rachel Lind’s negative expectations of orphans are true to the book and the thought of the day; in the book, they’re proven wrong. Perhaps they will be in the course of this series. Marilla is inconsistent; she is quick to threaten to send Anne away, but also acts to prevent her being taken into the home of an unkind woman. Marilla says, “you can’t make up a family; only kin is kin,” which reminds Anne of what was said in her previous home. Up until the last five minutes or so, I was really liking this episode. 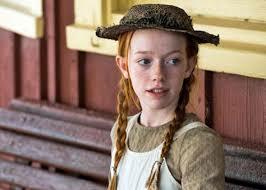 I love the Anne of Green Gables books, and I cheered with Anne at some of her victories. But this episode ends straying from the source material. Throughout the episode, there’s more of a focus on the possibility of Anne being sent away than there was in the book. Anne speaks challengingly to the farm boy that the Cuthberts hire, telling him that he’s threatening her chance at having a family. Rachel tells Marilla to send Anne away on the next train. The last few moments of the episode are the worst: As in the book, Marilla’s prized broach is lost, and Anne falsely confesses to its loss in order to avoid punishment. In the book, Anne is trying to avoid missing a church picnic. In this story, Anne is trying to avoid being sent away – and after she makes a false confession, Marilla sends her away. Later, Marilla discovers the broach has not been lost – Anne’s confession was only to end the discomfort of Marilla being suspicious of her. Marilla sends Matthew to the train station to reclaim Anne, but it is too late – she’s already gone, on the way back to who knows where. It’s a rough way to end the first episode, and it seems particularly cruel to Anne, whose emotions have suffered so much because adults have not been kind to her. The real Marilla – or at least, the one in the book – is a kind woman who even though she’s disappointed at Anne, has decided to keep her as family. This version of Marilla sends her away in anger and bitterness to end the first episode. It’s probably not a good choice for adoptive families to watch with their young children. The first episode of Anne with an E stays largely faithful to the source material, and does a good job of capturing Anne’s personality and likeability. The ways in which it differs from the source material might not bother most families, but the differences seem particularly relevant – and negative – for families touched by adoption. There’s a lot of scope for imagination for adults who want to watch this; enjoy Anne, and reflect on your commitment to the kids you welcome into your home. However, Anne’s reliving of her past abuse, and the recurring and realized threat of Anne being sent away from Green Gables likely pushes the episode out of bounds for young viewers who have experienced uncertainty with regard to their permanency in a home, or for young viewers who aren’t fully comfortable with their place in their adoptive family. Good for adults, consider for teens, probably not for kids. Why are the worst memories the most persistent? What advice would you give Marilla as the episode ends? Are there any behaviors your kids exhibit that might reflect past trauma they’ve experienced? You are spot on. I watched it with my 7 y.o. daughter adopted since birth. This is a very raw and likely more realistic look at the treatment of orphans in this time period. It is NOT the softer Anne of Green Gables and if episode one seems too much, don't keep watching. My daughter LOVES it, but there were parts that drew quite some discussion including "becoming a woman" and why a teacher would be in love with a student. Our therapist nixed it for our two pre-adoptive girls (8 & 6). 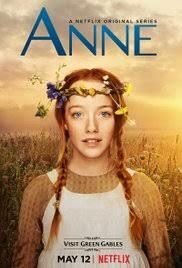 Anne clearly suffers from PTSD and it's too realistically portrayed. Our girls haven't requested to watch it after the second episode. 8 and 6 is too young for this version. But don't give up on it for the future. My two adopted boys,10 and 11 (one has trauma), loved this movie and wanted to watch it over again. It is def raw in some parts but to me it was more realistic of what goes on with orphans and older kids who transition to an adoptive family, like mine. I loved how Anne and the family persevered, learned to love one another, and had a hopeful future as they pushed through the hard stuff. Good point! I think you're right, that it could be good for older kids, and I loved the glimpses I saw of Anne's and Marilla's perseverance.